I know everyone has a different idea of who a hero is. Mine will always be the men and women who put themselves in a place of protection. Men and women who serve our country! My dad who served in Vietnam as a Marine and my brother who was Army Reserves. Whenever I see a man or woman in uniform, I make sure to thank them. Occasionally I dissolve in a puddle of tears because it's overwhelming what they do for our country. This is where Boot Campaign comes in. I approached them about working with me to do a review & giveaway because I was incredibly thankful for how they gave back. They agreed and now I have the pleasure of introducing you to them. 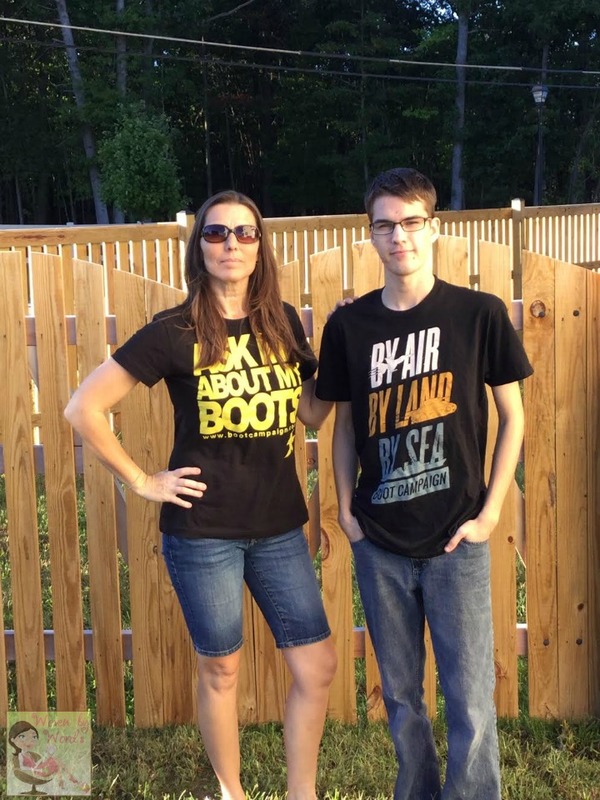 The boots you see are from their site used with permission! First, let's talk about boots...combat boots. If you're anything like me, compact boots conjure up visions of men and women in uniform, and how they serve us. It's the perfect place to start! 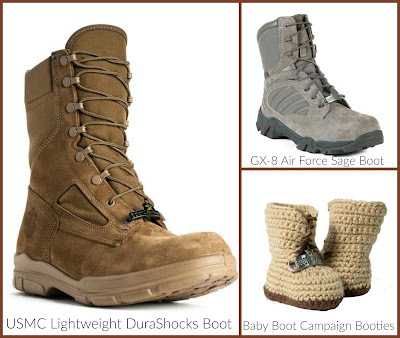 Boot Campaign has a fantastic selection of boots. My favorite boots are the Gratitude Boots. Ok, well, they're a collection of Boot Campaign boots, but they're ones you don't purchase for yourself, they're ones you purchase to give back to a veteran who needs them! Sigh...isn't that the best? They don't only have boots. 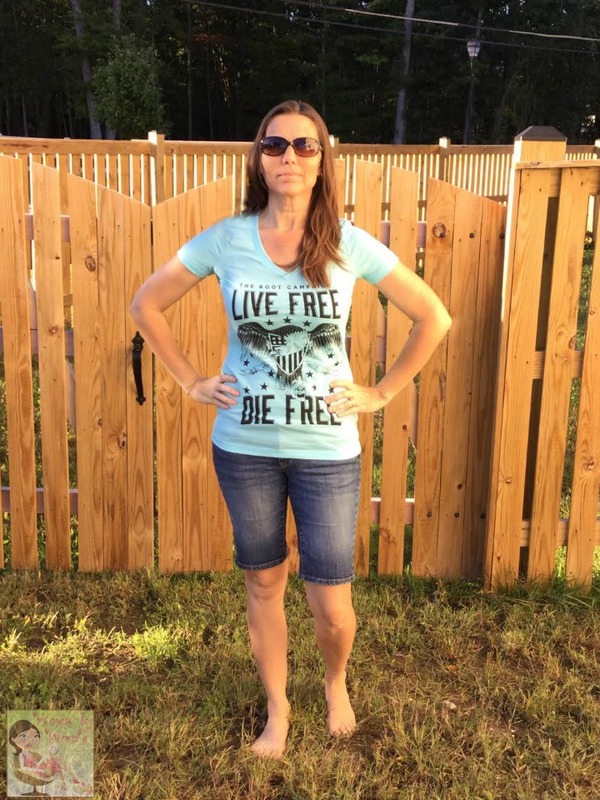 They have men & women's tops, and a large selection of accessories! Truly something for everyone. You don't have to have someone in the military to appreciate this apparel. Yo, if you're patriotic, you should really own something that shows it, dontcha think? 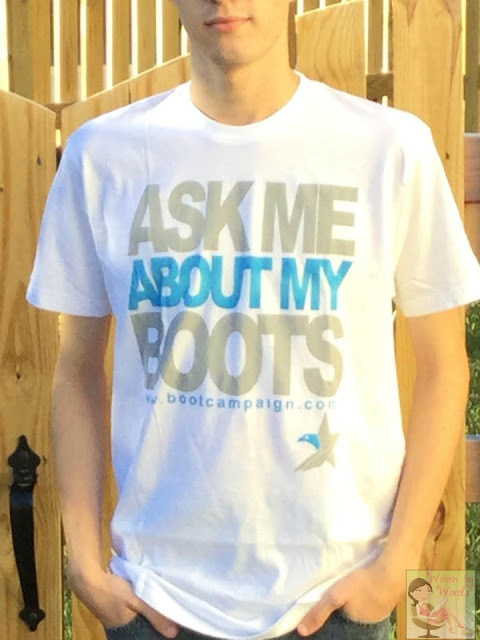 "Boot Campaign’s ReBOOT provides a comprehensive, individualized, multi-disciplined approach to increasing mental and physical well-being for our nation’s veterans. Whether combating traumatic brain injuries (TBI), Post-Traumatic Stress Disorder (PTSD), depression, or other transitional issues, ReBOOT tackles the root cause of the struggles affecting so many of our brave servicemen and women. This unique program brings together world class mental and physical treatment partners, and thorough diagnostic evaluations, so each veteran gets specific care needed to live a fulfilling life after service." What better what to give back than in such a tangible way. I appreciate what this company is doing for our military people who have suffered with so much. Wondering how you can be a part of what Boot Campaign is doing? Trust me when I say there's something for everyone! Sure, you could definitely give a monetary donation, but you can also volunteer, join Pushups For Charity, start a fund raiser, attend/host an event, corporate sponsorships, and more! What matters is you getting involved! This giveaway will feature two winners. 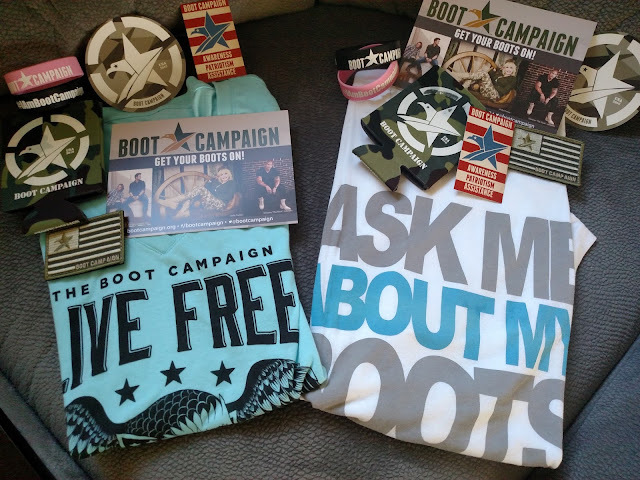 One person will receive a package of Boot Campaign gear with the white t-shirt featured above, and one person will receive a package with the blue t-shirt featured above. I can't guarantee which package you will receive. Both shirts are size Medium. The packages are seen below. I have been a fan of Boot Campaign for awhile now, but have never had the chance to buy their Boots, I have bought a couple of T-Shirts. I really love their TAC FORCE 8" WOMEN'S TAN TACTICAL BOOT WITH ZIPPER. I like the Tropical SEALS DuraShocks Boots! My favorite pair are the WOMENS ORIGINAL SWAT GIVE BACK BOOT. Awesome! McRae kids boots' I wish I could afford a pair. It's about to be winter here, and my son doesn't have any boots for the upcoming snow. I love their WOMENS ORIGINAL SWAT GIVE BACK BOOT. I like the women's lightweight durashock boot. The children boots are adorable though! I think this is so awesome! My husband is active duty and I'm around military families constantly. It's so wonderful to see that they will be getting help. But anyway, my favorite pair of boots are the bates m-8 tactical boots. It look very similar to the pairs I see military wearing currently and they actually look comfortable, too! I would pick the GX-8 GORE-TEX BLACK FOR WOMEN. I like that they are waterproof and have a Gore-Tex lining. 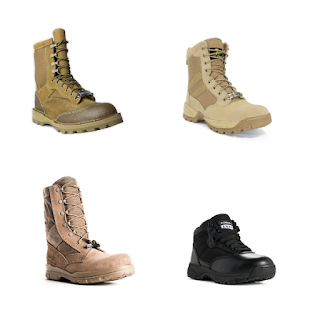 I like the USMC LIGHTWEIGHT DURASHOCKS BOOT WOMENS. My husband is a veteran so this is awesome. I like the Original SWAT Boot Campaign Stamped Boots but he'd probably pick something else. I like the give back boot. Boot Campaign's take on the classic baseball tee. I like the women's Original SWAT Black Boots! I love the Tac Force 8" Women's Tan Tactical Boot with Zipper. 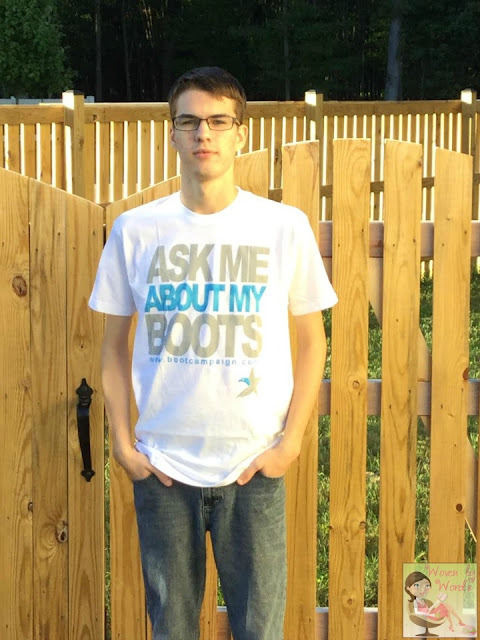 I like Men's THE GIVE BACK BOOT. Love the GX-8 AIR FORCE SAGE BOOT!